The 35 meter long fishing vessel Calypso Z84 caught fire while fishing in the Bay of Biscay near La Rochelle, France. The fire started in an electrical panel in the engine room. The crew responded quickly and extinguished the blaze, but the fire damaged the trawler’s generator. The crew made some temporary repairs to restore power and allow the vessel to pull in its nets. No reports of injuries to the 5 crew on board. 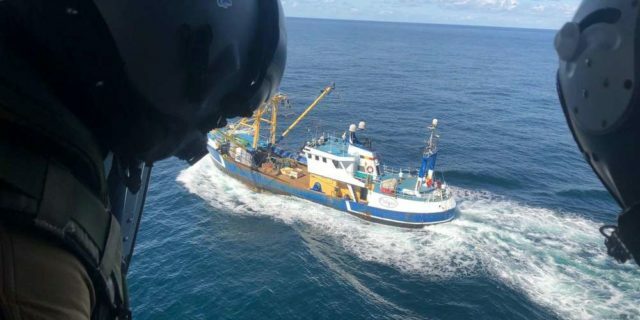 Authorities dispatched a team to the trawler who evaluated the Calypso Z84 condition. After the inspection, the trawler was found to be seaworthy enough to proceed on to its journey back to Belgium.